Our Karma Project at Washingtonville Housing Alliance serves Spanish Speaking women who are considered low income. There is an enormous amount of stress in their lives - in many cases single motherhood, poverty, and an uncertain future. Our mission is to provide them with tools they can use in their daily lives such as simple asana, meditation, and breathing techniques. 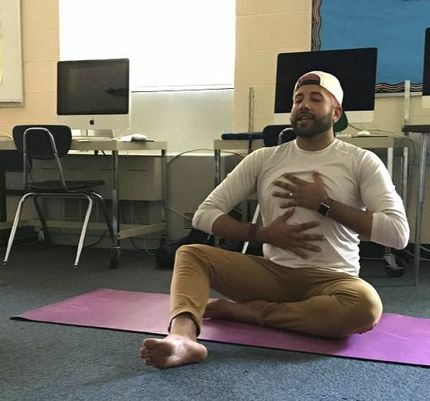 Nelson Castro​ first discovered his passion for social impact in his home country of Columbia, has volunteered for the Red Cross and now acts as social impact community leader for lululemon. He became a Certified Yoga Teacher with the goal of sharing yoga, meditation and breath work with Spanish speaking people of all ages. Westhab is the largest nonprofit provider of affordable housing and supportive services in Westchester County, NY. We are designated as a 501(c)3, and since 1981, we have helped more than 5,000 homeless families and individuals move into their own apartments. We have developed nearly 700 units of quality, affordable housing representing a public and private investment of more than $60 million. Each year more than 1,200 homeless or at-risk youth participate in our youth programs, hundreds of families in underserved neighborhoods get help in our community centers, 250 people find new jobs through our employment programs and 850 households call our properties home.